Water is everywhere. We use it for countless reasons every day. Heck, we're made of water. It is essential to life as we know it. 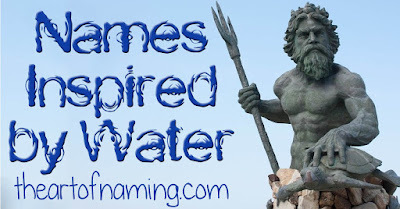 What better way to honor our precious life-sustaining water than to choose a name inspired by it? Plenty of parents are already fans of nature names, why not filter those down to just the water-related ones? You'll find that you have many great options to choose from. Before we dive into the deep end, let's explore a bit of mythology. The God of the Sea is known as Poseidon in Greek mythology. One of his love interests was the Sea Goddess Amphitrite. Together they had a son named Triton who was the Messenger of the Sea. The Roman equivalent of Poseidon is Neptune, the God of Freshwater and the Sea. "town at the source of the river"
"settlement on the River Glyme". "valley on the river Kent"
"town on the River Kenn"
"ocean, wide expanse of water, deep sea"
"town on the River Wylye"
What do you think of this list? Can you think of more that could be added? Which is your favorite? This featured name is brought to you by the letter W and the very best W names for boys and girls. We recently talked about how one of the biggest boy name trends is to use surnames as first names. As an English surname, Wesley is no exception. It fits right in with other surname names for boys. 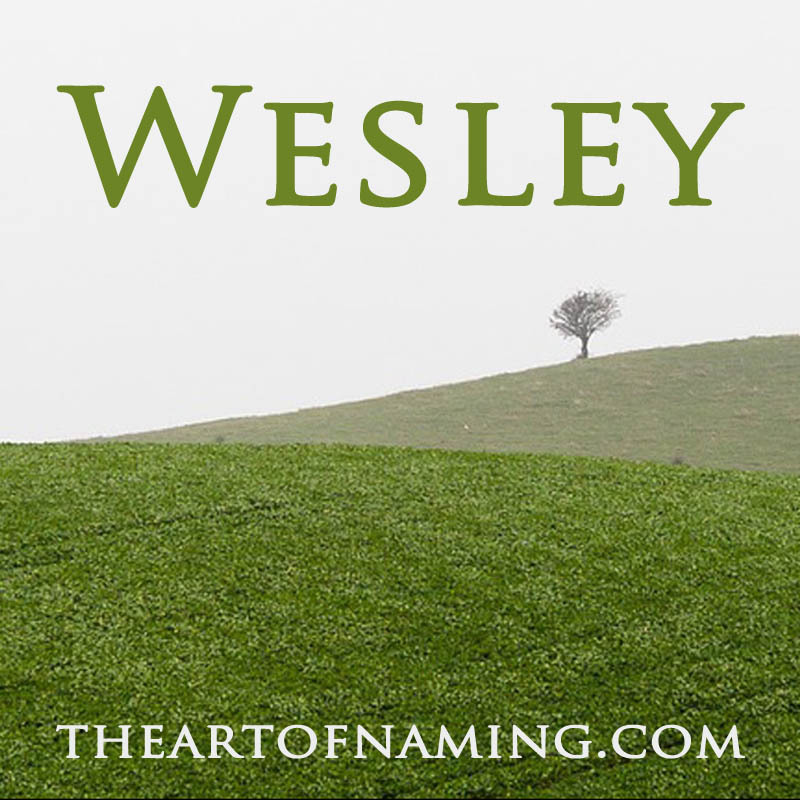 As a name, Wesley could be considered more on the gentle side of boy names. This could be partly because many of the other -ley names are rather unisex like Bailey or conquered by the girls like Ashley. However, there are many who also consider Wesley to be a tough guy name due to pop culture associations such as actor Wesley Snipes. Another major association is John Wesley, an 18th century theologian who founded the evangelical movement known as Methodism. meadow. Most sites list its meaning as "west meadow". 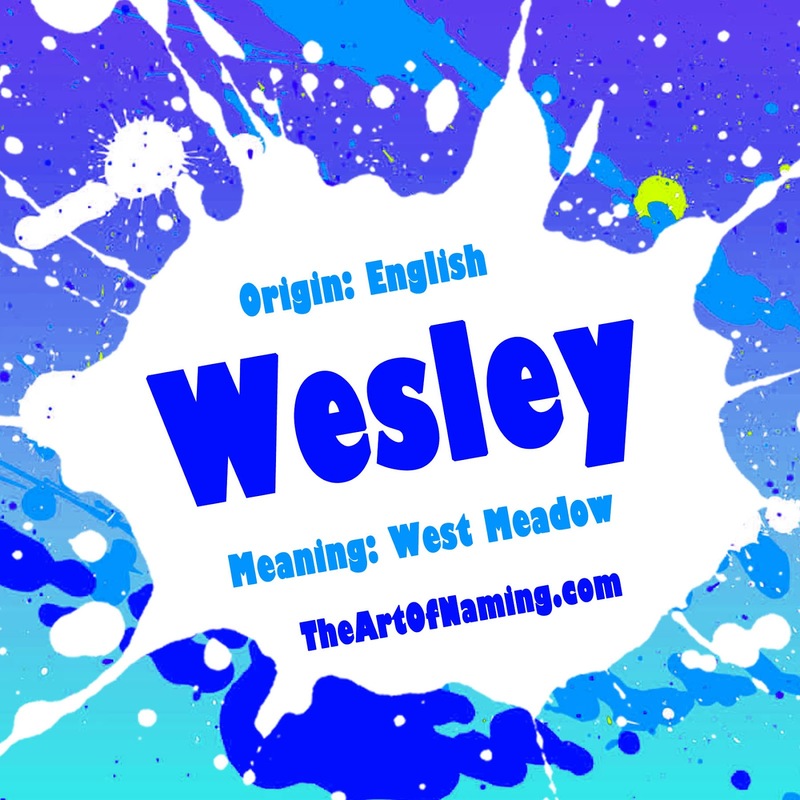 The name Wesley is more popular for boys, but it has also been given to a handful of girls every year since 1910. There were 43 girls named Wesley in 2014. For boys, though, Wesley has consistently ranked in the #100s or better since 1880. Its high point came in 1977 when 4300 boys were given the name. It has had its ups and downs but as of 2014, Wesley ranks at #130 with 3,112 births. 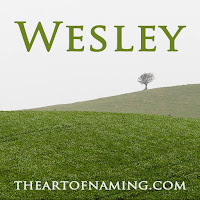 Brother name Westley has been in use in the US since 1887 but it has never been anywhere near as popular as Wesley. It has ranked within the Top 1000 many times, though, mostly through the 1980s and early 1990s. The timing of that popularity boost coincides with the 1987 film The Princess Bride which featured a handsome character named Westley. After that time period, the name Westley declined in usage again and was given to only 174 boys in 2014. What names would you pair with Wesley? Do you prefer Wesley or Westley? 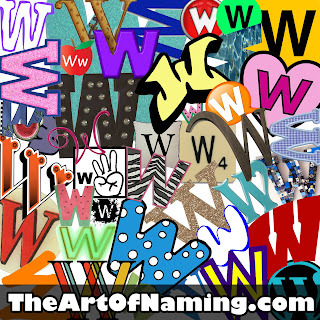 As you continue your search for the perfect name, I'd like to ask you to take a moment and consider using a name that starts with the letter W.
We're nearing the end of the alphabet so if you've been following this series and you haven't found a winner yet, this might finally be the list for you. 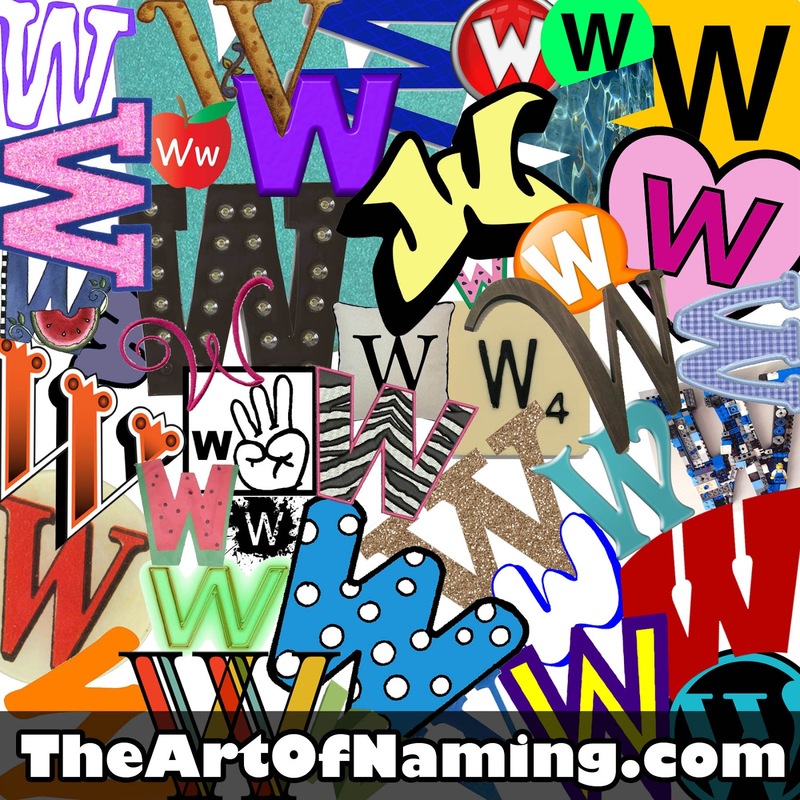 The letter W has a good variety of names. There's the more proper ones like William and Winston for boys, and the more whimsical options like Waterlily or Wintress for girls. There should be a little bit of something for everyone here. Tell me in the comments, did I miss any good W names that you enjoy? Of the ones featured below, which name catches your eye the most? If W isn't your letter after all, use the following links to continue your search in the remaining letters of the alphabet. The letter V is trending these days within popular names like Ava and Evelyn for girls. It's been a constant for boys in the name David. Both genders love Avery as the top unisex name. 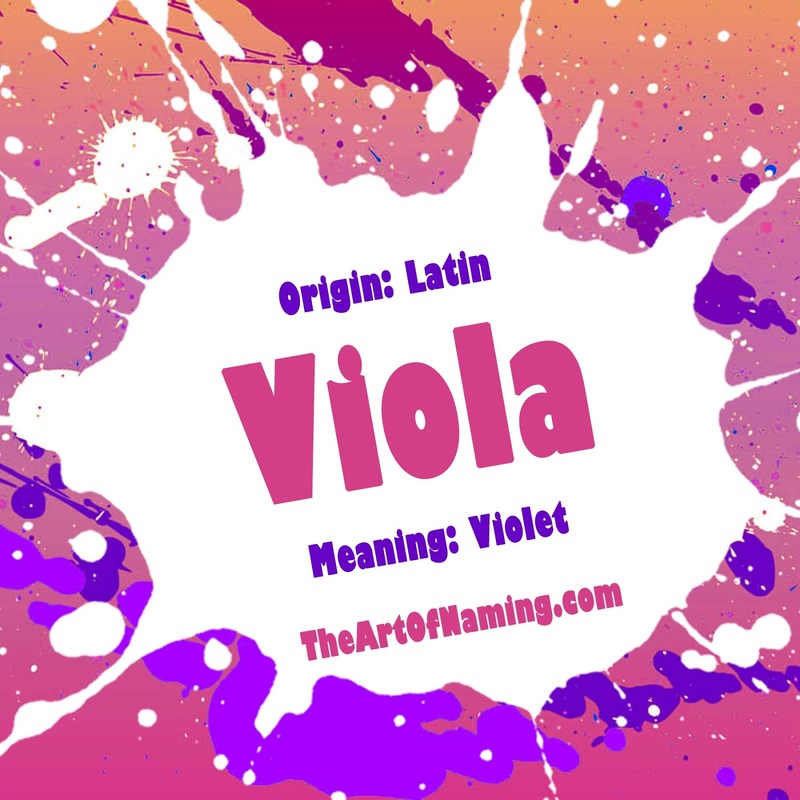 What about names that start with the letter V? Victoria still ranks well and Violet and Valentina are trending upward for girls. Vincent is just outside the top 100 for boys with Victor not far behind. Are you a fan of the letter V? If you are, surely you'll enjoy this great list of the 25 best V names for girls and 25 for boys. 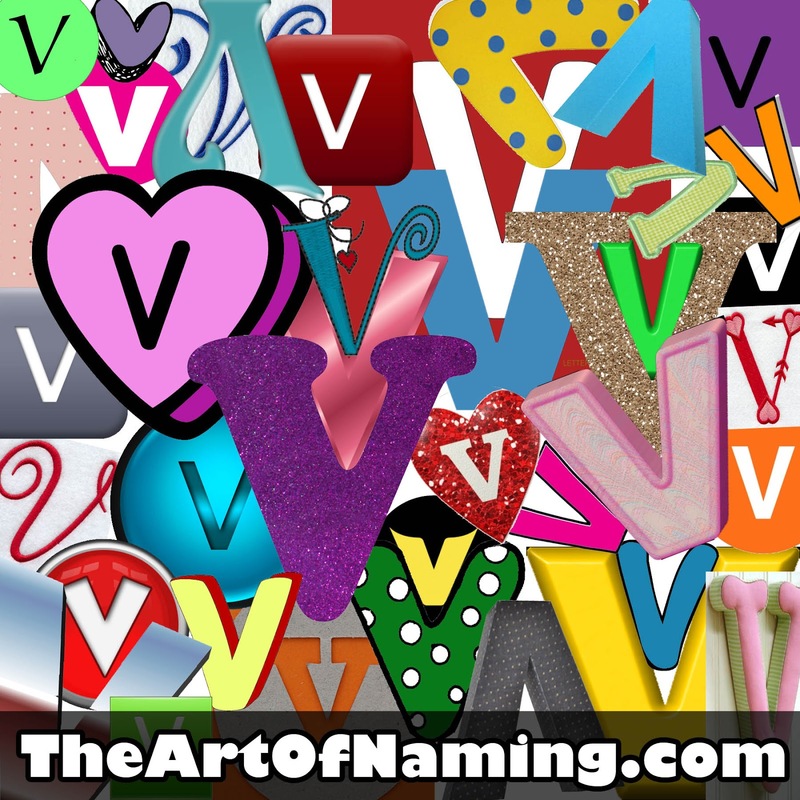 Did I miss any of your favorite V names?